Written by Ivana McConnell on February 10, 2017 . Remote work sounds great, in theory. “Work wherever/whenever you want!” is often presented as an Awesome Perk of the startup world and, in some cases, an inevitability. In practice, what makes remote work great is also what makes it incredibly difficult. 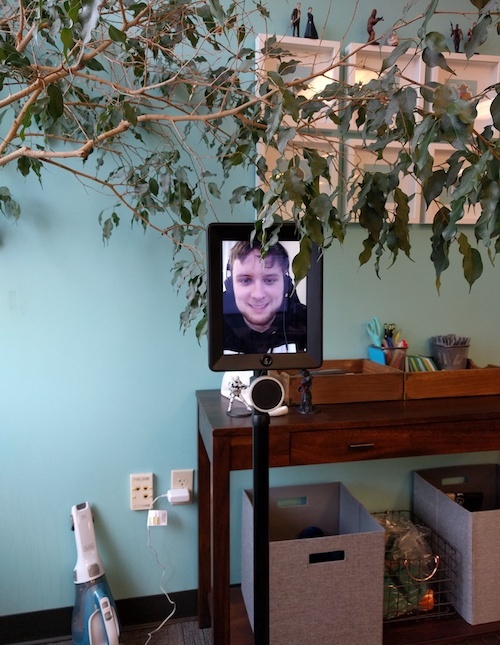 Customer.io is both remote and office-based—with a distributed team and a headquarters in Portland, Oregon—which makes for an interesting balancing act. No matter what, we strive to be remote-first rather than “remote-friendly”. After my first year or so of full-time remote work here, I have some learnings to share. In order to have the same level of connection as office-based folks, a remote team has to be that much closer emotionally to make up for that physical distance. It’s not easy to interpret ambiguous statements via Slack. If I can’t hear someone’s tone or see their body language, there is no playfulness or sarcasm for context. To compensate for distance, everyone has to share more about their thoughts, habits, feelings, and expectations—of themselves and others. Frankness must replace proximity, and that doesn’t always come naturally. Since it’s hard to know when and if someone has misinterpreted us, we rely on mutual honesty, respect, and clarity. Support teams and customer hours: A support team, in many ways, is beholden to those asking for their help—the customers. No matter where you work from, if you aren’t available when support requests are coming in, customers are unhappy. A compromise has to be made. Folks collaborating on work need to overlap (at least a little bit): Many remote-first companies claim to be highly creative and collaborative. Efficient collaboration requires mutual availability; otherwise, work suffers. Again, compromise has to be made. To be clear, neither of the above examples undermines “work whenever you want”. They just show that it isn’t that simple and comes with a caveat: “work whenever you want, while enabling others.” We have to understand our own working patterns and our co-workers’, communicate, and balance accordingly. That takes effort. Sometimes our product manager Reema works on the weekends. So does some of our engineering team. If they want to do that, that’s perfectly fine. I am intentionally not available on the weekends because my wife works a 9-5 office job, and weekends are my time with my family. However, if Reema then takes a Tuesday and/or Wednesday off to recharge, I cannot expect her to be available, just because she was working on “the weekend,” or my days off. There is simply no such delineation anymore. There is only communication, and if that goes off-course, remote teams cease to function. When am I most productive? Wait, what does ‘productive’ mean for me? Does it mean a lot of code? A lot of deep thought? A lot of collaboration with other people? Is that “productivity” in one big block, or in small blocks throughout the day? Why? How do those times work with my team? When does my family need me? When would be best for me to go for that run that I previously had to take in the morning? What do I need in my office space to enable me to work best? Remote working removes constraints, but it also removes excuses. We have no excuse but to do great work—but first, we need to understand what actually enables that work. Then, we have to communicate it to our managers and peers. Sometimes, setting constraints again is exactly what we need. Occasionally, I visit our Portland office. There, I feel productive because I’m meeting people, talking and drawing on whiteboards with them, and moving projects forward in a broader sense. This is the kind of work that’s difficult to intentionally block out time for when remote, as it often happens spontaneously, sparked by a conversation while waiting for the coffee to brew or while walking to lunch. Philosophical conversations on the nature of a product that don’t fit well into a Google Calendar invite title. They matter, they result in huge product improvement, and they can’t always be planned for. Meanwhile, working remotely can result in long blocks of heads-down time that are very difficult to get in an office environment— particularly an open office. Turning Slack notifications off is much easier than trying to find a quiet room or space from which to work within an office— and even then, interruptions are far more likely. This kind of time also improves Customer.io, because it lets me truly dig deep into a customer problem. It’s easy to end up working a lot. Because we’re distributed and many conversations take place asynchronously, it can feel like the company is constantly interacting. slacking away the day For remote folks, the only lines that exist are the ones we draw for ourselves— like with my “weekend” example above. There is no “weekend,” just the days and times that we decide are the times when we don’t work best. Some folks are better at drawing lines than others, but we all need to be clear and deliberate about what those lines are. I’ve had days when, even though I’m sick, the lack of a physical office to drag myself to has resulted in me working anyway, thinking “I can make it to my office, it’s only downstairs, I’m sure I’ll be fine.” In an office, that line is clearer; when remote, it needs to be psychological, and just as strong. Otherwise, we can end up taken hostage by notifications and emails in a strange sort of limbo—not exactly “working” but hyper-aware that work is there, and therefore unable to enjoy the present world around us (or focus on recovery). We need to overcome the feeling of “this other person is available; should I be available, too?” In these situations, I have to be introspective, identify what isn’t working, and change it. Once again, remote working removes constraints in some places, but necessitates their creation in others. Identifying where to draw lines is hard—it requires a self-awareness not required in regular office work, an admission that what we’re doing isn’t working, and a willingness to experiment and change. And that’s not easy. We often have impromptu watercooler videochats. I can’t overstate how valuable opportunities for casual interaction like this are for remote folks. 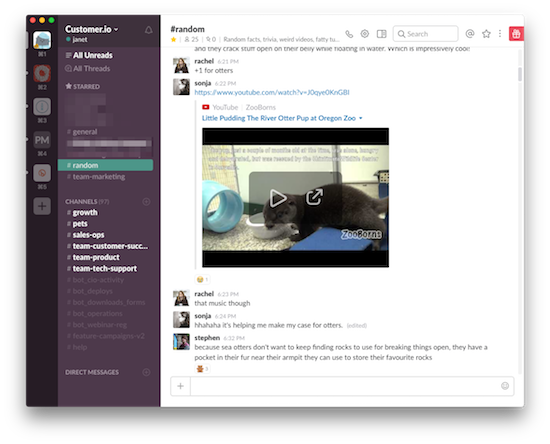 When there is no literal watercooler or coffee machine or breakroom around which spontaneous “how was your weekend?” conversations take place, then we have to intentionally spring up a virtual one like a fun thread in Basecamp or the #random channel in Slack. We schedule Serendipity matches, too—every two weeks, we’re matched with a fellow Customer.io Ami and make the time to get to know each other. Sure, these watercooler interactions can sometimes feel awkward. The internet magnifies awkward silences. But for each of those silences, we have a cracking conversation about hot sauce or video games or how and when we’re going to make a “Pets of Customer.io” calendar. Those conversations are so important and happen by chance in a co-located space. To foster that same feeling of connection and companionship that is the foundation of good work, remote teams need to deliberately create them. 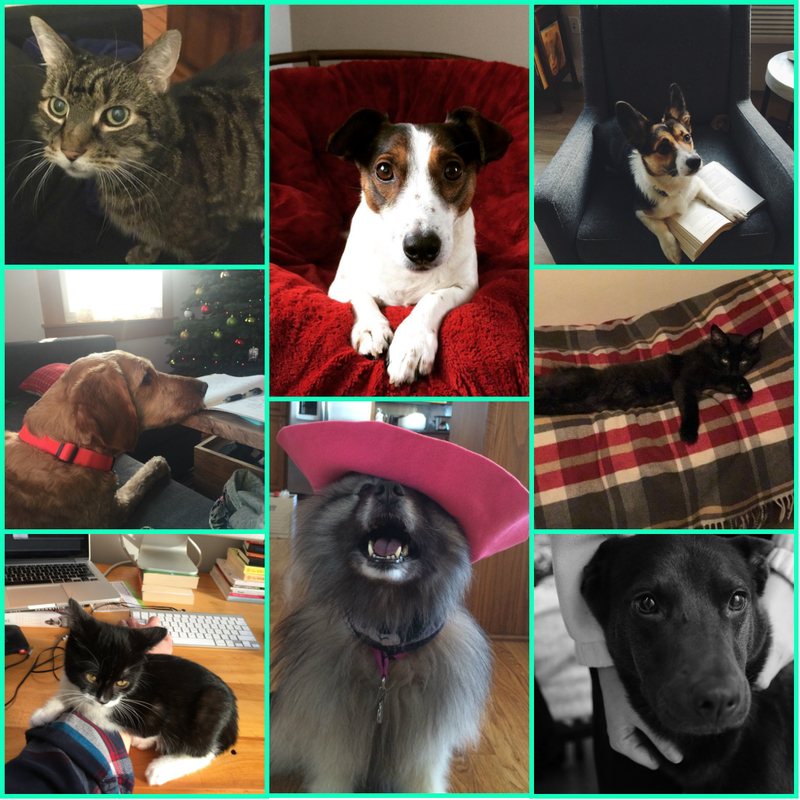 Did someone say pets of Customer.io? So yes, it’s hard. Is it worth it? There’s a simplistic assumption that remote is The Future, its benefits infinite. But it truly is not for everyone, and I hesitate to tell companies or people that they should adopt it. Going remote is a wholesale re-imagining of how we see our work environment, our attitudes toward that work, and our relationships with our co-workers. It removes age-old barriers and excuses, and asks questions of us that we’re not always prepared to answer. I always find it strange when someone’s first impression of Customer.io is that they love that we’re a remote team. This is a statement that cannot possibly be true; the approach and its success depends entirely upon the team executing it. We may be working remotely, but our bonds with our fellow coworkers need to be that much stronger as a result, to make up for that physical distance. This is why you cannot know if remote work will be successful until you try it anew each time; until you know and connect with the people who form the foundations of those remote relationships, you have no idea whether or not you’ll be successful. When we get it right, it’s wonderful. It’s a joy to work for a company which allows me true freedom, to take care of myself and my family when I need to, and work from nearly anywhere in the world. When I’m having a bad day, I can take a few hours off, go for a run to clear my head, and get going again. Similarly, when I’m inspired, I work from 6:30 in the morning until 4:30 in the afternoon and wonder where the time’s gone. 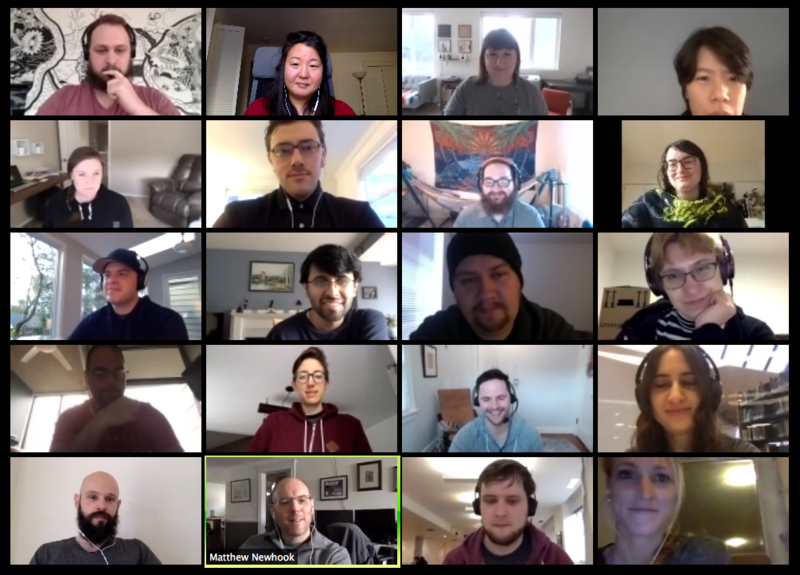 And when I visit Portland or participate in a company get-together, I get to chat in real life and share a drink with the awesome people that I see in Slack every day. Just like with a real office, there are good days and bad. The problems presented by remote work are simply of a different, more introspective nature. Remote environments offer more flexibility, and let us maximise our productivity—but to do that, we have to dig deep and figure out what makes us tick in the first place. But (for me, at least) it’s worth it. What do you find rewarding or challenging about remote work? Share with us in the comments!